It’s just getting harder and harder to buy a print book in Manhattan, America’s publishing capital. Following on today’s feature story about bookstores looking to raise cash on the internet for survival comes the news that Partners & Crime Mystery Booksellers, a specialty bookstore on Greenwich Avenue in Manhattan that has been in business for 18 years, will close its doors for good on September 20th. 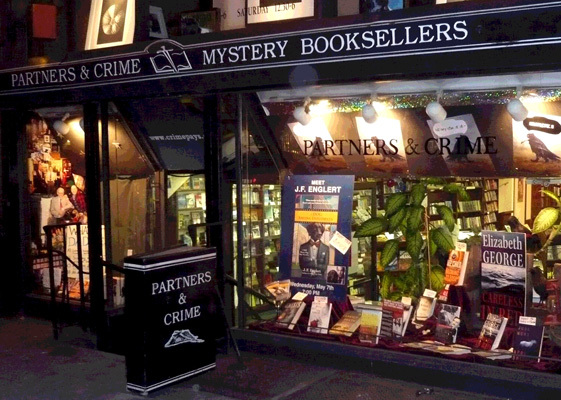 The shop’s windows were always stuffed to the gills with a combination of the latest thrillers and mysteries, from that Larsson guy to Lawrence Block’s rotation of hits, as well as a hefty collectible and rare books collection. The shop was a hub for a lot of neighborhood activities ranging from a weekly 1940s-style radio show in the backroom to readings from the greats: James Patterson and P.D. James, to name a few.